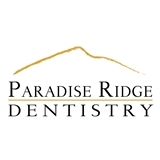 Paradise Ridge Dentistry (Phoenix) - Book Appointment Online! Welcome to our friendly, family practice, where taking care of our children and adult patients is the #1 priority. We work hard to make sure that every patient who comes through our door feels like they’re walking into an extension of their own home. We develop personal relationships with our patients, and we are focused on taking full care of your dental health. As a comprehensive dental practice, we evaluate your dental health, working for the final goal of making you a healthier person. While most dentists work only on taking away the pain, we go the extra mile and help you prevent any pain from affecting your daily life. To help you achieve this kind of dental health, we offer all services under the same roof. On a rare occasion do we ever send a patient to a different practice. Convenience is our priority. We are open 7 days a week and Wednesday nights from 1 to 9 PM.